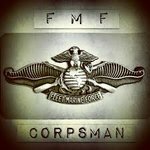 corpsman89 had the most liked content! PASSED today! Full practice authority has officially started in Florida. EDIT: Oops, spoke to soon, passed the house, but still has to go to the senate and then the governor. Man, I could only imagine the look on a patients face mentioning that title. Sigh... Yes Medical Practitioner is the best title IMHO. Yes, it describes what we do very nicely. Yes, it contrasts Nurse Practitioner very nicely while clearly displaying the differences between us and them. Yes, it is a title that gives us our OWN path. But.... Is it realistic? I honestly don't think so. While medical practitioner is a great title, many other profession use the very title to broadly define professions who provide care in the medical arena. It's a title that could ruffle many feathers, and could potentially cause confusion. Don't get me wrong. I more than welcome Medical Practitioner as our future title, and would be more than thrilled if it were implemented. I just think Physician Associate would be easier. PAs who don't like it could just continue using "PA" as their title. It caries a sense of tradition and history with it. It matches our counterparts in the UK. And it would more or less fly under the radar IMO--which may or may not be a good thing. Anyways... Medical Practitioner or Physician associate. I do honestly think--and hope--it will come down to either of these as the final decision. O Jeeze. This should be interesting. FYI. I started a poll a while back, with the same question. I bumped it up for further discussion Also, since I posted this poll, I myself have changed my mind slightly. I used to be 100% for the title of Medical Practitioner, but have since moved slightly over towards the Physician Associate camp. It just seems far more realistic than Medical Practitioner. It's just not a perfect world, and I am not sure of the feasibility of adopting MP. I am still 100% against any other title, they all just seem flat out ridiculous. I am not sure why they added PAs to the bill, but it makes sense to me. I wish that when the very first state pushed for NP independence that PAs were included as well, because they would have set a precedent and we would likely had been included in all subsequent bills and proposals, and there fore would have the same success as NPs. While realistically this bill probably wont pass, if it did--and PAs actually gained independence in florida--it may be enough to start the domino train. https://www.wlrn.org/post/advanced-nurses-physician-assistants-get-boost Just recently saw this bill in Florida HB821 allowing NPs and PAs to practice independently. Thoughts? I am 50% combat/service conected and just had my 5 year eval, by a non-VA PA (he practices in EM). He does it as a side gig. Eval took about 5 minutes. He asked a total of 5 questions. And pretty much waste a million dollars. I can't argue with this. I agree 100% But while PA schools are expanding, NP schools are a real problem. As I rotate through my rotations I am surprised to learn that nearly all the RNs that I am encountering are currently going to NP school (Online of course). I would think most PAs wouldn't have wanted this sort of thing to happen. Many MDs/PAs see what NPs are doing and they don't think it safe or ethical, especially considering the many online diploma mills that NPs are completing. However, as a profession, this is our last chance to remain relevant in today's medical landscape. With more and more organizations saying the hell with PAs due to our supervisory agreements, we MUST eliminate supervision requirements in order to stay on par with NPs and stay competitive in the market. It's understandable to not like the current trend, but there is no stopping the nursing agenda. We wither keep up, or get left behind.